A Unisex stainless steel Cartier Must de Cartier 21 quartz wristwatch that has a white dial with blue steel hour and minute hands. 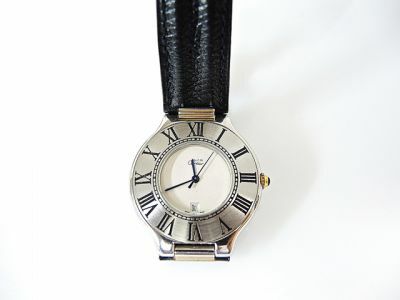 The watch has a satin bezel with black roman numerals and date at 6 o'clock. There is a gold tone fluted crown set with a round cabochon synthetic blue sapphire. 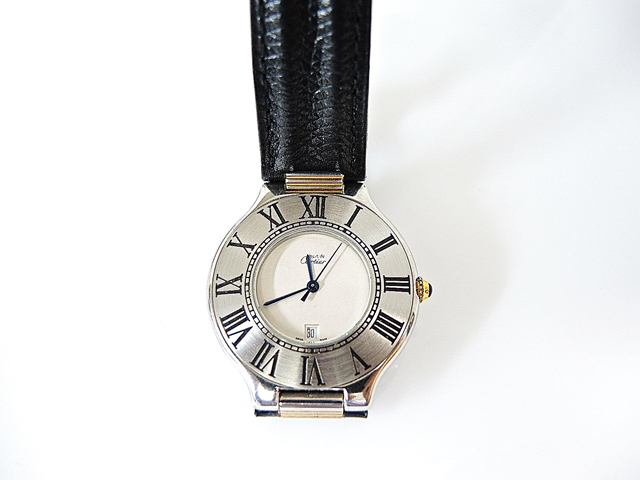 It is accompanied by a black leather strap with a stainless deployment clasp. The refernece number is 901172881.